The relationship between Marilyn Monroe and feminism can best be described as problematic. Monroe, whose name and glamor have spanned the decades, played a number of iconic roles during her short career. However, a number of these characters are stereotypical “dumb blondes”. Gentlemen Prefer Blondes is one of Monroe’s most famous films. Interestingly, the musical is quite complex when viewed through a feminist lens. While the film has its’ share of flaws, this isn’t Marilyn Monroe gold-digging her way to Europe. In fact, there are a number of more interesting ways to read Gentlemen Prefer Blondes. The film follows showgirls and best friends Lorelei Lee (Marilyn Monroe) and Dorothy Shaw (Jane Russell). The two women travel to Europe when Lorelei snags a proposal from the wealthy Gus Esmond (Tommy Noonan). Together, Lorelei and Dorothy deal with a number of romantic complications, including the American Olympic team, an elderly millionaire ‘Piggy’ Beekman (Charles Coburn) and a dashing young private eye Ernie Malone (Elliott Reid). Gentlemen Prefer Blondes fails the Bechdel Test. While the female leads spend a lot of time together, the movie’s heavy romantic focus means they’re often talking about men. However, in the time Dorothy and Lorelei do spend together, the strength of their relationship is clear. These two women couldn’t be more different; however, each would do anything for the other. In fact, their friendship seems to be the focus of the narrative; rather than the various romantic couplings. Critics and fans alike often cite Lorelei as an example of Monroe at her gold-digging, “dumb blonde” finest. This is made clear in the opening minutes of the film when she brings Gus back to her dressing room. Dorothy looks at Lorelei and chuckles, “You know, I think you’re the only girl in the world who can stand on a stage with a spotlight in her eye and still see a diamond in a man’s pocket”. Don’t you know that a man being rich is like a girl being pretty? You wouldn’t marry a girl because she’s pretty, but my goodness, doesn’t it help? If you had a daughter, wouldn’t you rather that she didn’t marry a poor man… You’d want her to have the most wonderful things in the world and to be very happy. Why is it wrong for me to want those things? The comedy stems from the men surrounding Lorelei and Dorothy. Throughout the film, the women’s presence is all it takes to reduce men to a stupefied silence. Later, multiple men hand over their hard-earned money for the treat of dining at Lorelei’s table. However, Lorelei quickly points out that nothing stops her from eating dinner in her cabin. She holds all the power in the situation. 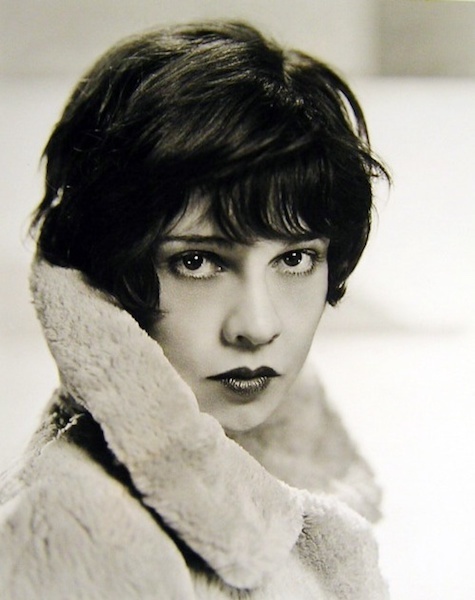 Gentlemen Prefer Blondes is based on a Broadway play, which is in turn based on a novel written by Anita Loos. A prolific writer, Loos’ screenwriting credits date back to 1912 when she entered the movie industry under the wing of the notorious D.W. Griffith. The Guardian quotes Griffin when speaking of Loos as, “The most brilliant woman in the world”. During the silent film era, Loos often wrote for Douglas Fairbanks, one of the biggest swashbuckling action stars of the period. Before her 1981 death, she had over 138 writing credits. Loos wrote Gentlemen Prefer Blondes in 1925. Interestingly, the book was adapted into a silent film, a Broadway play, and even a Broadway musical before the popular 1953 film version. As the years passed, Loos rose above personal drama and continued to write prolifically across various mediums. When she wasn’t writing for the stage or screen, she was writing novels and contributing to magazines. Finally, Gentlemen Prefer Blondes momentarily subverts the idea of “The Male Gaze”. “The Male Gaze” is the idea that a camera takes a male perspective, which then sexualizes female characters. While idea remains present in this traditional musical, Jane Russell’s version of “Is There Anyone Here For Love” turns the idea on its’ head. As Russell sings, she wanders through a gym, openly ogling the men’s Olympic team (clad only in barely-there flesh colored shorts) as they work out. Dorothy is looking, and she is definitely enjoying herself. Interestingly, Jane Russell’s body had already been the subject a male gaze controversy. Russell starred in Howard Hughes’ film The Outlaw in 1943. Today, the movie is best known for the ongoing scandal surrounding Jane Russell’s breasts. Hughes was reportedly so taken with Russell’s figure that he designed a special bra for her to wear during filming. However, the primitive push-up bra involved steel rods in strategic places. In fact, it was so uncomfortable that Russell claimed that she couldn’t wear it for longer than a few minutes. Later, Russell’s figure caused an outcry among censors as the film neared its’ release. The ongoing Production Code discussions mired the film in scandal, and cuts were necessary before The Outlawfinally premiered. In watching Gentlemen Prefer Blondes, the film has improved with time. In fact, a basic viewing does not do this film justice. Lorelei Lee and Dorothy Shaw are not vapid showgirls. Rather, the movie presents two women who not only know what they want, but are in complete control of their sexuality. Gentlemen Prefer Blondes is available on Netflix.